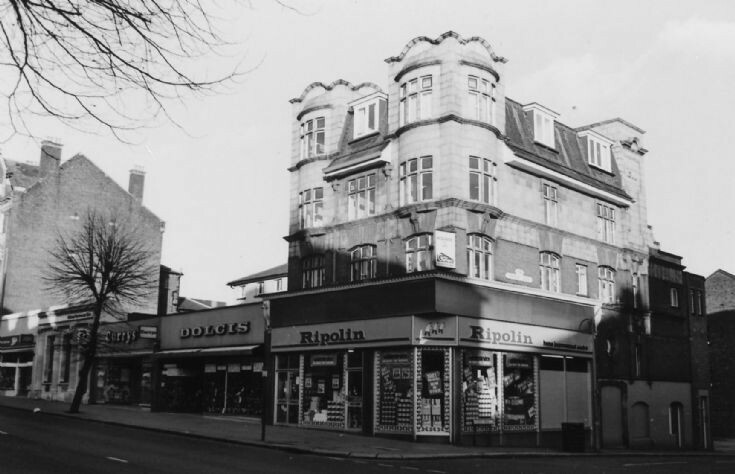 We live on the second floor of this building (directly above the Ripolin store in this photo - now a Coffee Republic) and would love to know its history. Can anyone shed any light on its original use at the time of its construction c.1903? It used to be a Sainsbury's grocery store in the 1950's and 1960's. The staff were mostly ladies in white hairnets and at the butter counter, there was a huge block of the stuff - you'd ask for half a pound and she would break a piece off the gigantic lump, then bash it and smash it around with wooden spatulas, until it was sort of square shaped, wrap it in greaseproof paper and hand it over. I've tried to locate a photo of the shop taken in the 1950's, but without success. Thank you Shamus, much appreciated. I worked in the Sainsburys store in the spring and summer of 1967. The manager was Mr Savage, and the people I worked with were lovely. I left in the autumn to join the RAF, I really missed the girls in the shop. If anyone else reading this worked there then, I'd love to hear from them.